Disruption has been a defining buzzword of this decade, as companies in nearly all sectors find themselves challenged or supplanted as a result of the impact of technology. The beneficiaries of this disruption have mostly been newcomer enterprises – the Ubers and the Amazons – which have quickly grown to become part of everyday life. Policymakers, reluctant to quash innovation, have taken a hands-off approach. But these innovators’ employment practices don’t appear to be so innovative. In recent times, however, some tech innovators have shown they aren’t allergic to bargaining with their workforce after all. What’s driving this shift? It might be convenient for consumers but the gig employment model, with its arm’s-length relationship with its workforce, struggles to build organisational culture and relationships with customers. We see evidence of this in ongoing strife in companies such as Uber and Deliveroo. Now, though, major firms have begun to negotiate collective agreements with their workers. For the first time anywhere in the world, it was announced in May that Amazon had made an agreement with unions. The breakthrough took place in Italy, where Amazon and the FILCAMS CGIL union negotiated an agreement. It was endorsed by 70% of employees who voted on it. The deal came into effect on June 17. It ensures fairness in scheduling and allocating weekend work, and reduces mandatory night shifts. Amazon workers now get four consecutive free weekends out of every eight. Shifts alternate between Saturdays and Sundays, and they get 25% higher pay for working at night. 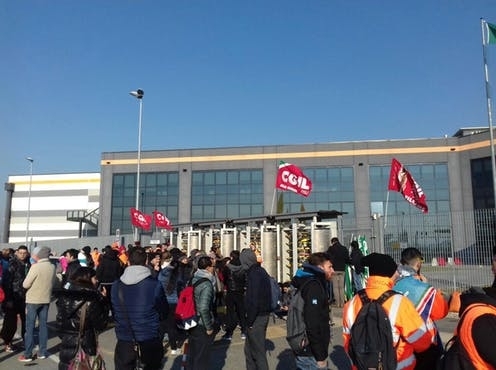 The Amazon warehouse and distribution centre in Piacenza, Italy, is now covered by a collective agreement with workers. A growing number of digital news outlets have signed collective agreements with their writers over the last few years. The list includes Vice Media, ThinkProgress and the Huffington Post. All are now signed on to union contracts with the Writers Guild of America East. In addition, Slate, Salon, MTV News and Fast Company recognise the Guild as a negotiating partner. Vox is negotiating its first union contract right now. These contracts establish minimum salary and future pay rises, and set agreed payment for derivative republication of writers’ work. They also limit the power of management to fire employees at will. We have heard a lot about Uber, Deliveroo, Foodora and Airtasker and the problems created because they don’t treat their workers as employees. This means, among other things, they don’t provide the minimum wage or other basic employment standards. Airtasker has sought to address this by making undertakings to the peak union body in New South Wales. The agreement was negotiated with Danish union 3F (United Federation of Danish Workers) and comes into effect on August 1. Winds of change in Australia? After years of decline, collective bargaining coverage in Australia has stabilised over the past 12 months. These figures don’t include new agreements being made in the retail sector. These are set to add another 200,000 employees by the end of this year. Meanwhile, the gig employment model faces the likelihood of increased regulation. The federal Labor Party has stated its intention to regulate gig employment if elected. Labor governments have starting doing so at state level. The Victorian government recently announced on-demand deliveries would be brought within the Owner Drivers and Forestry Contractors Act and couriers given the ability to bring claims before the Victorian Small Business Commission and the Victorian Civil and Administrative Tribunal. 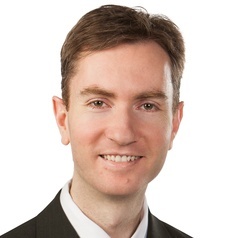 In New South Wales, the shadow minister for industrial relations, Adam Searle, announced that Labor intends, if elected, to introduce even broader protections for gig workers to “fill gaps” in the Fair Work Act. The Queensland government is considering options to extend workers’ compensation coverage to gig workers. Gig employers have a strong incentive to sit down and talk – it could make for an uncomfortable ride for them if workers’ entitlements continue to be imposed through political agitation followed by legislation. Perhaps it won’t be long until we see one of these tech innovators put in place such an “innovative” agreement with its Australian workers.